India can be a challenging yet rewarding market for foreign businesses. In the past few years, the country has made several progressive pro-business reforms at the national level. But the federal governing system means that the country lacks uniformity in its business environment as each state has its own economic policies and business climate. While many states have constituted policies that promote investments, some states continue to suffer from outdated policies, which can be a deterrent for foreign investors. To build a successful India strategy, companies must understand the differences between Indian states. Instead of treating the country as a whole, uniform market, companies need to have target specific regions and have a focused approach that aligns with their business needs. It is also important for businesses to understand that what works in one state in India may not necessarily work in another. 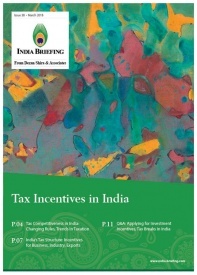 Encompassing the individual states’ unique selling point (USP) and key growth sectors enable companies to map their requirements with the state government incentives in terms of infrastructure and policy requirements and identify high potential markets. Deliberate with state industrial authorities to get a better understanding of their incentives. Gujarat, Maharashtra, Karnataka, Andhra Pradesh, and Tamil Nadu are the top performing states of India in terms of their per capita gross domestic product (GDP) and overall contribution to India’s GDP. The per capita GDP is an indicator of people’s affluence or deprivation in the state and fairly depicts the variation in living standard and market potential across the country. Besides holding high market potential, these states have adopted business-friendly measures to entice both local and foreign investment. Some of these include – single window clearance systems, land and labor policy reforms, reduction in the number of statutory approvals for industrial investments, expedition of infrastructure projects, development of sector-specific industrial parks and special economic zones (SEZs), as well as tax reforms. In the table below, we look at the states’ performance in the recent National Council for Applied and Economic Research (NCAER)’s 2018 State Investment Potential Index (N-SIPI). 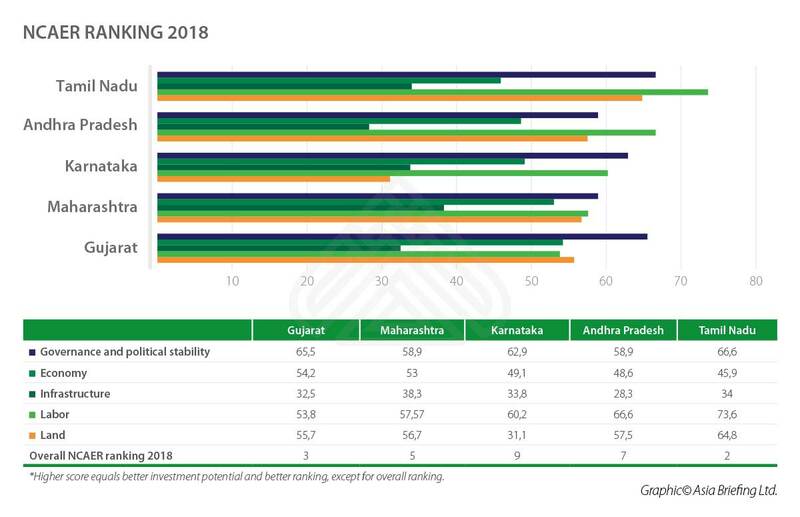 We also look at the states’ performance in other surveys, and their economic statistics to understand their investment potential. Though not an adequate measure of the business climate in every state, these figures and rankings are a great tool to aid businesses in making investment decisions. They provide a starting point for firms that are in the pre-investment stage of the market entry process. 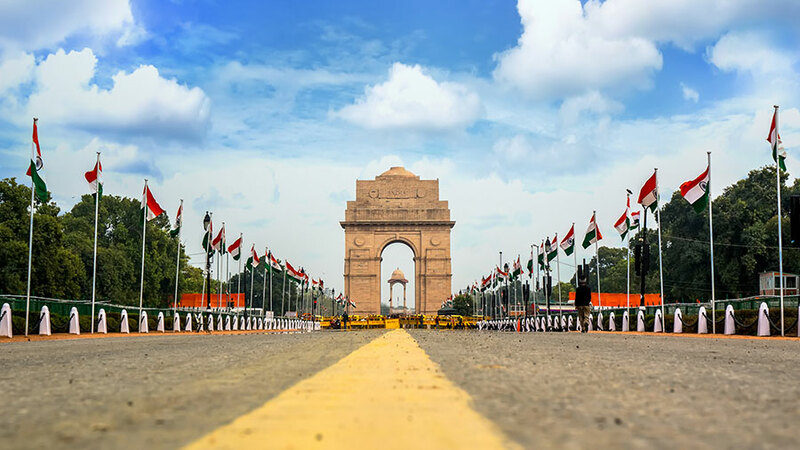 Having stated that, companies must note that the key to a successful business operation in India is finding the right balance between illustrative figures, the company’s profile, and a true assessment of conditions on-the-ground.